... SOARING OIL PRICES ON THE INTERNATIONAL MARKET Dr. Paa Kwesi Ndoum, the Energy Minister, has ruled out the possibility of increases in the prices of petroleum products, in the next few months, despite increasing oil prices on the international market saying the government has taken no definite decision. “We have not taken any decision on the issue of fuel prices as at now, that is all that l can tell for now. I don't know what else l can say about it, “ he told HAPPY FM in Accra last Friday. He said cabinet has tasked the Minister of finance and economic planning, Yaw Osafo-Marfo to come with necessary plans on how the government intends to deal with the situation in the months ahead. The finance minister is suppose to find ways of dealing with the extra cost the government will have to bear as result of the high rise in world oil market price. U.S. light crude futures eased 35 cents to $41.20 a barrel after peaking at $41.85 a barrel Monday, the highest price since the New York Mercantile Exchange launched the contract in 1983. London Brent crude slipped 38 cents to $37.53 reaching levels last seen following Iraq's invasion of Kuwait in 1990. The last time the government increased fuel price was in January 2003. Prices doubled overnight after the government decided to end fuel subsidies, a move, which was harshly, criticized by the public and the opposition parities. The increase according to then Energy Minister, Albert Kan Dapaah was to halt the massive debts of 4.5 trillion cedis run up by the Tema Oil Refinery due the failure by the NDC government to increase fuel prices just before the 2000 General elections. The latest statement by Dr. Ndoum sharply contradicts his earlier pronouncements at which he warned that the government has no option but to increase retail prices if world market prices hit the 40-dollar per barrel mark. Many analysts believe the government is reluctant to effect the changes fearing a political backlash with only eight months to the December elections. Opposition groups could use any increase as ammunition against the government. Asked if the government is backtracking by failing to increase fuel prices in line with international prices as announced earlier, Dr. Ndoum said, “my friend you are going too far, you contact the ministry of finance on how they are dealing with the issue.” The recent upsurge is not only concern for the Kufuor administration, but most governments around the world including those in the developed world. The British Prime Minister, Tony Blair last week Thursday called an emergency summit of his government with oil industry executives to draw up contingency plans to cope with a growing fuel crisis as it emerged petrol had reached record prices in the UK. “No Fuel Hike This Year, Despite Donors Pressure” The Minister of Finance, Hon. Yaw Osafo-Maafo has allayed the fears of Ghanaians to the effect that there will not be any hike in fuel prices this year. This is in spite of the fact that the price of crude oil on the world market has hit the 40 dollars per barrel mark. Speaking in an interview on our morning show programme “'kokrokoo” on Wednesday May 19, the finance minister stated categorically that Government has not decided on the matter yet. He conceded that the IMF and all the other foreign donors are pressurizing the government to increase fuel prices this year if it (government) cannot find other sources of funds to manage the economy effectively. 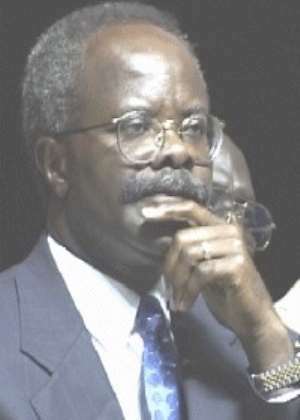 However, he said, government does not base the running of the economy on Internal Revenue Service (IRS) taxes alone, adding that the returns of cocoa production (nearly 100,000 tonnes per annum profit) is being used to pay off government's subsidies on petroleum products, which averages about ¢100bilion a month. Whilst admitting that the upcoming election is a factor in not increasing fuel prices, Hon. Osafo Maafo stated that the government will consider circumstances prevailing after the December General Elections as to whether to hike fuel prices or not. “No Petrol Price Rise” Kufuor Resists But Pressure Is On In February 2003, at the time when the government of Ghana took the bold step to increase consumer prices of petroleum products b an average 96%, the price of a barrel of crude oil was $32.13; 12 months earlier it had stood at $18.86. Over this past month alone the price of crude oil in New York has risen from $33 to just under $40 per barrel, leading to predictions that pump prices in Ghana could rise by 20% over the coming weeks. Understandably, across the globe, air fares are up. Petrol prices are up. Here in Ghana, there is a growing compelling economic pressure for prices of petroleum products to go up as well. Currently the government is already subsidizing petroleum up to 20%. The pressure is on. Yet, according to our reliable Cabinet sources, President John Agyekum Kufuor is resisting the pressure, from within and without, to increase prices. His reasons may be summed up thus: Ghanaians have suffered enough and are just about recovering from the necessary but massive price hikes of petroleum and utilities in the recent years. His bet is that if the current high crud prices are not sustainable, then he would rather the state bears it and later recoup its losses once prices fall again to what is considered to be its natural range – between $24 and $30 per barrel. The president our sources suggest, is also of the view that any increase my trigger inflation and fuel a greater economic cost to the nation as general consumer prices go up in reaction. President Kufuor's resistance to pressures from the Bretton Wood Institutions and others to increase petrol prices is however time-bound. It would crack if the price is to stay at $40 for months or rise sharply in the coming weeks. According to Kelly Gadzekpo of Databank financial analysts, the government was quite clever to anticipate and factor in future price increases when setting the prices last year. But not even the US and the UK could anticipate prices of crude oil shooting up to about $40 barrel this year. For the past 30 years, the three global recessions have all been pre-dated by a sharp rise in oil prices. Ghana, which is winning the fight against inflation, would be hit if the current high prices trigger another economic recession, as this would push interest rates further up and lower living standards and growth.